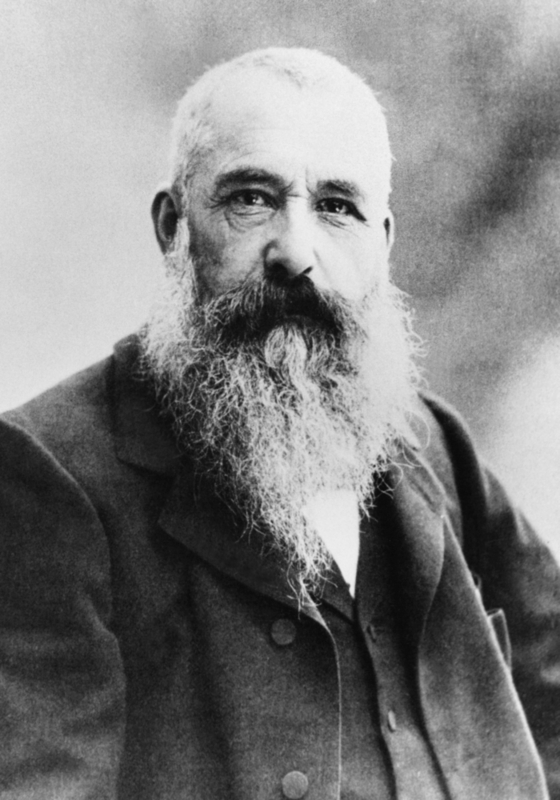 Impressionist painter Claude Monet in 1901. Monet once owned a sculpture of a cat that has recently resurfaced after years of being lost. Art historians interested in Claude Monet have taken down their “LOST CAT” signs stapled to light poles and bulletin boards across the U.S. Only kidding. But the glazed biscuit cat from Japan, which once belonged to Monet, has indeed been discovered after years of searching for it, according to The Art Newspaper. The cat sculpture resembles a cat curled up, and was often placed on top of a pillow on Monet’s dining room couch. Art historians speculate that it was likely given to Monet by a friend. After the artist passed away in 1926, the cat sculpture was given to Monet’s son, Michel. Decades after Michel’s own death, the feline sculpture disappeared. For decades, the whereabouts of Monet’s beloved Japanese kitty were unknown, though socialite Pauline Howard-Johnson recalled the cat sitting in Michel’s home before he was killed in a car accident in 1966. However, in 2011, art historians learned that Michel—previously thought to have been childless—had an illegitimate daughter, Rolande Verneiges, who Michel often gifted artworks to. The cat and other artworks were passed down to Verneiges and then from heir to heir until 2008, when one of the heirs decided to sell some of the art at Christie’s Hong Kong, including the biscuit pottery cat. Other pieces sold included a series of poplar tree paintings, Japanese prints, photographs, and terracotta prints. According to The Art Newspaper, the sale “fetched a total of HK $85.5m (US $10.9m).” But the Japanese art dealer who bought the cat, among other items, donated the biscuit cat to the Fondation Claude Monet. The cat and many of Monet’s other items are now happily home in Monet’s old dining room in Giverny, France, for visitors to see. The cat again sits on the couch, this time under one of Monet’s other Japanese paintings—an eagle swooping down.